Please take a moment to read these terms before registering with the services that FireText Communications Limited provides. These terms are an agreement between you and FireText Communications Limited. It is important that you understand this agreement before you sign up. We reserve the right to change these Terms from time to time. Any updates to these Terms shall be posted on this website. You acknowledge your responsibility to review these Terms from time to time and to be aware of any such changes. By continuing to use any of the FireText Sites or Services after we post any such changes, you accept these Terms, as modified. By accessing one of the FireText Sites or our Services, you accept these Terms and certify that you have reviewed these Terms and are within or have reached the age of majority or age 18 (whichever is greater) in your jurisdiction. IF YOU DO NOT AGREE WITH ANY OF THESE TERMS, PLEASE LEAVE THIS WEBSITE BY CLOSING YOUR INTERNET BROWSER WINDOW NOW. IF YOU DO NOT INTEND ON USING THE SERVICES IN ACCORDANCE WITH THESE TERMS, DO NOT UTILISE THE SERVICES PROVIDED BY FIRETEXT. Services described on the FireText Sites may or may not be available in all countries or regions of the world, may be available under different trademarks in different countries and, where applicable, may be approved or cleared by a government regulatory body for sale or use with different indications and restrictions in different countries. You agree to use the FireText Services in accordance with all applicable guidelines as well as all national and international laws that the Services are subject to at all times. To the extent there are changes in the law that affect these Terms of Service, the changes in the law shall control and you shall be responsible for abiding by such changes. The Services consist of one or more of the following: a web-based interface, access to incoming telephone number or keywords, messaging applications, SMS gateway access, data encryption, data transmission, data access, data storage, reporting and analytics, and, if applicable, synchronisation software, as well as software maintenance and upgrades and customer support, that enable you to send text messages to recipients designated by you (collectively, the "Services"). We transmit messages initiated by you or sent to you by others through different routes, and the level of reliability and support for special features varies according to the route. You are responsible for obtaining and maintaining all computer hardware, software and communications equipment needed to access the Services, and for paying all access charges (e.g., ISP, telecommunications) incurred while using the Services. FireText only provides that the Services are processed correctly and further transmitted by FireText to the applicable network. FireText is not responsible for the final delivery of any communication initiated through FireText's Services, as this is out of our control and is the responsibility of downstream communications carriers. FireText transmits and receives text messages via other major telecommunications companies and mobile network operators, and thus FireText's influence over the timing of the transmission of your messages is within the technical constraints imposed upon FireText. While FireText shall use commercially reasonable efforts to transmit your messages to the applicable network for final delivery to your designated recipients as fast as possible, we cannot commit to, and do not guarantee, a specific maximum delivery time. Such times depend on various network and system-related factors among the various entities involved in the transportation of your messages across the public telephone network and/or Internet. You should know that communications carriers assign text messages with a default lifetime and any message that cannot be delivered successfully within the lifetime assigned to it will be discarded by the downstream communications carrier without any notice. FireText is not liable for any loss incurred by the failure of a message to be delivered, and you acknowledge that damages for financial or other loss resulting from delivery failure cannot be claimed from FireText for any such non-deliveries. Furthermore, you agree that message contents are deemed to have zero value. You represent and warrant that the owners of the phone numbers you initiate messages to through the FireText services have consented or otherwise opted-in to the receipt of such messages as required by any applicable law or regulation. You agree that you will include clear opt-out/unsubscribe information on your messages when required to do so by any applicable law or regulation and otherwise adhere to the Consumer Best Practices Guidelines promulgated by the Mobile Marketing Association, if applicable to your messages. Various national and international laws, rules and regulations place restrictions on certain types of text messages. FireText is in no way attempting to interpret any laws, rules, or regulations. This information is provided merely as a courtesy and is not intended to replace your responsibility to familiarise yourself with and abide by the legal requirements pertaining to your messages prior to using the FireText Sites or Services. You are ultimately responsible to make your own informed decisions regarding your messages. You shall schedule messages responsibly and in a manner that is courteous to the recipients pursuant to local, national, and international calling time rules and regulations. You are solely responsible for obtaining any rights or licenses to any data for inclusion in any outbound messages. If you are unfamiliar or unclear on the legalities of any message you must consult with your lawyer prior to your use of the FireText Sites or Services. Engaging in any other activity that FireText believes could subject it to criminal liability or civil penalty/judgment. FireText's Anti-Spam Policy is incorporated into these Terms by reference, available at https://www.firetext.co.uk/spam/. You agree that FireText is, under no circumstances, responsible for the contents and/or accuracy of your messages and FireText will only transmit them on a basis of good faith that you use the Services in accordance with these Terms. FireText is not liable for any misuse of the Services by you. FireText is not responsible for the views and opinions contained in any of your messages. Messages may be monitored to ensure compliance with our policies. You agree that any information or materials that you or individuals acting on your behalf provide to FireText (other than information required for your use of the Services as contemplated herein) will not be considered confidential or proprietary. By providing any such information or materials to FireText (other than information required for your use of the Services as contemplated herein), you grant to FireText an unrestricted, irrevocable, worldwide, royalty-free, perpetual license to use, reproduce, display, publicly perform, transmit, make derivative works of, and distribute such information and materials, and you further agree that FireText is free to use any ideas, concepts or know-how that you or individuals acting on your behalf provide to FireText. In connection with such information and materials, you warrant and represent to FireText that you have all rights, title and interests necessary to provide such content to FireText, and that your provision of the content to FireText shall not infringe any third party's proprietary or personal rights, including but not limited to any trademark, copyright, patent, or trade secret. FireText may at its option provide you with one or more areas within the FireText Sites for online discussions (e.g. message boards, wikis, chat rooms, or blogs). Should you choose to participate in such a forum, you agree not to utilise the forum for illegal or inappropriate purposes. FireText reserves the right but will not be obligated to edit or delete postings to its forums at any time and for any reason. FireText shall also have no responsibility or liability for any content created or posted by you or other third parties within any online forum. As part of the registration process you will need a username and/or password. You shall provide FireText with accurate, complete, and regularly updated member profile information. You agree to notify FireText of any known or suspected unauthorised use(s) of your user account, or any known or suspected breach of security, including loss, theft, or unauthorised disclosure of your username or password. You shall be responsible for maintaining the confidentiality of your password. Any fraudulent, abusive, or otherwise illegal activity may be grounds for termination of your user account, in FireText's sole discretion, and you may be reported to appropriate law-enforcement agencies. By providing your telephone number to FireText, FireText reserves the right to contact you via calls or text messages to provide you information about your account and/or the FireText Services requested by you. To the extent you have separately agreed to receive periodic text alerts on products, services, events, special offers or other promotional messages related to FireText and the FireText Sites, FireText may contact you pursuant to the terms of any such separate agreement. You are permitted to access the FireText Sites, the Services, and any content provided by FireText (which may include text, images, hosted software, sound files, video or other content, and may be provided via the FireText Sites or otherwise) solely for the purpose of receiving information about FireText's business and products, purchasing and utilising the Services, communicating with FireText, entering prize promotions offered by FireText, or otherwise as stated on the FireText Sites. FireText hereby grants a worldwide, fully paid-up, perpetual, non-exclusive, non-transferable license to you to use the FireText Sites and Services solely for the purpose of operating the FireText Sites and using the Services. We may have copyrights, trademarks, patents, trade secrets, or other intellectual property rights covering subject matter in the Services, including the web pages that are part of the Services and the FireText Sites. Except as expressly provided in these Terms, the availability of the Services and the FireText Sites does not give you any license to these patents, trademarks, copyrights, or other intellectual property. All copyrights, trademarks, patents, trade secrets and other intellectual proprietary rights contained in the FireText Sites are the sole property of FireText or its licensors, each of whom reserves all rights with regard to such materials. You acknowledge and agree that you may not copy, reproduce, retransmit, modify, alter, create any derivative works, reverse engineer, decompile, or disassemble any portion of the Services or FireText Sites, including any proprietary communications protocol used by the Services or the FireText Sites without the express written permission of FireText. All other trademarks or trade names are the property of their respective owners, and such material may not be copied, downloaded, redistributed, modified or otherwise exploited, in whole or in part, without the permission of the owner. Except as otherwise required for your use of the Services as contemplated herein, Firetext does not want you to, and you should not, send any confidential or proprietary information to Firetext via the Firetext Sites or the email addresses referenced on the Firetext Sites. You further recognise that Firetext does not want you to, and you warrant that you shall not, provide any information or materials to Firetext that is defamatory, threatening, obscene, harassing, or otherwise unlawful, or that incorporates the proprietary material of another. Firetext and you will also comply with requirements of the Act and GDPR, in the processing of any personal data, including the mobile telephone numbers to which you will send your messages, as a consequence of making the Service available to you (such personal data referred hereto collectively as “End-User Data”), under or in connection with these Terms. 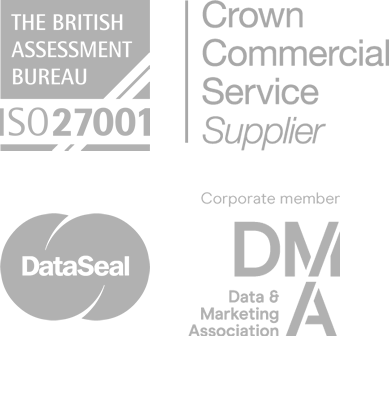 To ensure that FireText is properly undertaking the activities and implementing the controls required by the Act and GDPR, full and accurate data protection records are created and maintained to demonstrate compliance. In respect of the End-User Data you appoint Firetext as a data processor in accordance with the Act and GDPR and Firetext agrees to act only on and in accordance with your reasonable instructions in relation to the End-User Data and at all times to comply with obligations. Firetext shall not process any End-User Data outside of the European Economic Area without your prior written consent. Firetext shall not disclose End-User Data to any third party consultant or professional advisor other than where the disclosure is required for Firetext to be able to provide the services hereunder or to comply with legal obligations and subject always to Firetext entering or already having in place written contracts with the third party recipient of the End-User Data with terms no less stringent than the terms of this Agreement. Firetext will treat your End-User Data as confidential and will not disclose it to any third party or use or copy any part of it except for the purposes of making the Firetext Services available to you and providing any technical support required. We will make no further use of your End-User Data without your specific authorisation. Notwithstanding the above, Firetext acknowledges that certain public bodies are subject to the Freedom of Information Act 2000. If you are a public body then Firetext will assist and cooperate with you (at your expense) to enable you to comply with any information disclosure requirements. Firetext will, at its sole discretion, and without liability, determine whether any of the information requested by you is confidential, commercially sensitive and/or exempt from disclosure under the Freedom of Information Act 2000. Your use of the Services is contingent on you paying for such use (whether paid in advance or through the purchase of credits on the FireText Sites), in the amounts and using the methods indicated on the FireText Sites. Your payment for the Services, Credits (as defined below in Section 10), keywords, usage-sensitive fees and/or plans (a portion of which also includes software maintenance and upgrades, as well as customer support) shall be deemed completed when FireText receives the full amount of payment owed for such Services, Credits, keywords, and/or plans. You are responsible to pay for any message you attempt to send to any number, regardless of whether the message is actually received by the intended recipient. As FireText is dependent on other entities for the delivery of your messages, our price per credit may require adjustment in order to account for costs that are not in our control. Accordingly, we may adjust our prices from time to time without prior notice. FireText will charge your indicated method of payment for the Services, Credits, keywords, and/or plans immediately upon your confirming the payment method and amount. Amounts to be charged may include sales and other taxes where applicable and any other amounts indicated on the Site. Your account will be credited within 24 hours of FireText verifying receipt of your payment. If you have elected to make a payment by credit card and we do not receive payment from the credit card issuer, you agree to pay all amounts due immediately upon demand by FireText. FireText cannot readily or accurately ascertain your location when you request to use the Services. You therefore agree that your use of the Services occurs in England and is subject to any applicable English taxes. To the extent that you are responsible for any additional taxes or fees beyond those collected by FireText, you agree that you will pay them when due to any applicable taxing authority, including any interest or penalties assessed. FireText shall not be responsible for any errors or transmission failures with regard to the charging and collection of funds from your indicated payment method, nor for any actions taken by the provider of the payment method you choose (which could include refusal to authorise the charge). In addition to these Terms, any payments made by you may be subject to the agreement between you and the provider of the payment method. As between you and FireText, you are responsible for all charges related to purchases made using your account and payment method, whether or not you authorised such purchases. Standard charges apply to any test messages sent originating from your account or initiated using your API key. In the event of accidental under billing in favour of a customer, a non-payment by customer under these Terms, FireText shall be entitled to immediately proceed with collection remedies and shall be entitled to recover any and all costs, fees, and expenses of such collection efforts, including but not limited to: collection agencies, court costs, filing and service of process fees, attorneys' fees incurred from counsel of FireText's choosing, or any other costs, fees, and expenses incurred in the pursuit of collection on all customer accounts and receivables due and payable under these Terms. Credits are paperless vouchers that you purchase and which facilitate the transmission of the FireText Services selected by you. The chosen route as well as the destination of a message causes the amount of credits required to either increase or decrease but, in either case, will always be made known beforehand through the Pricing Page of our FireText Sites. The submission of a seemingly-valid message will cause an associated quantity of credits to be debited from your account and you can obtain the real-time status of your account at any time through the online interface. The value of credits may change over time as the cost of transmission changes, and thus you acknowledge that the number of credits needed to utilise the Services may change correspondingly. No refunds will be given. All prices, per-message rates, and billing increments are subject to change at any time due to fluctuations in market conditions. Credits do not expire on active accounts. Active accounts are defined as those having recorded any inbound or outbound SMS within a rolling 365 day period. Trial credits are valid for a maximum of 30 days. Notwithstanding the above, FireText may, in its sole discretion, offer customised plans that provide for individualised terms concerning credit expiration, billing cycles, account maintenance fees and/or other agreed upon terms. The terms of such customised plans will be made known and governed by the Pricing Page of our FireText Sites. FireText reserves the right to modify, suspend, or discontinue the offering of any of the FireText Sites or Services at any time for any reason without prior notice. Further, while FireText utilises electronic and physical security to reduce the risk of improper access to or manipulation of data during transmission and storage, it cannot guarantee the security or integrity of the data and shall have no liability for breaches of security or integrity or third-party interception in transit, nor for any damage which may result to your computer or other property by your use of the FireText Sites or Services. You acknowledge that text messages are transmitted unencrypted and that eavesdropping of communications by third parties is possible. FireText recommends that you ensure sensitive and valuable information is communicated by a protected and/or encrypted method. FireText makes no warranty or guarantee that (i) the Services will be available at any particular time; or (ii) you will be able to access the Services at any particular time or from any particular location. FireText will not be liable for any act or omission of any other company or companies furnishing a portion of the Services (including, without limitation communications carriers or ISPs), or from any act or omission of a third party, including those vendors participating in FireText offerings made to you, or for equipment that it does not furnish, or for damages that result from the operation of customer-provided systems, equipment, facilities or services that are interconnected with the Service. NOTWITHSTANDING ANYTHING CONTAINED HEREIN TO THE CONTRARY, THE FIRETEXT SITES AND SERVICES ARE PROVIDED "AS IS" AND "AS AVAILABLE," WITHOUT ANY WARRANTIES OR CONDITIONS WHATSOEVER, EXPRESSED OR IMPLIED. NOTWITHSTANDING THE FOREGOING OR ANY STATEMENT TO THE CONTRARY CONTAINED IN THESE TERMS, FIRETEXT DOES NOT WARRANT THAT THE USE OF THE FIRETEXT SITES OR SERVICES WILL BE UNINTERRUPTED OR ERROR FREE, INCLUDING, BUT NOT LIMITED TO ANY INTERRUPTIONS TO THE SERVICES CAUSED BY THE INTENTIONAL AND/OR MALICIOUS ACTS OF THIRD PARTIES (E.G., "HACKING") NOR SHALL FIRETEXT BE RESPONSIBLE FOR ANY DATA LOSS OR LOSS OF ANY INFORMATION IN YOUR ACCOUNT, REGARDLESS OF THE CAUSE. FURTHERMORE, FIRETEXT MAKES NO REPRESENTATIONS OR WARRANTIES AS TO THE RESULTS THAT MAY BE OBTAINED FROM USE OF THE SERVICES OR THAT THE FIRETEXT SITES OR SERVICES WILL MEET ANY OF YOUR SPECIFIC REQUIREMENTS OTHER THAN AS MAY BE EXPRESSLY SET FORTH IN THESE TERMS. FIRETEXT MAKES NO REPRESENTATIONS OR WARRANTIES AND HEREBY DISCLAIMS ALL OTHER REPRESENTATIONS AND WARRANTIES OF ANY KIND, WHETHER EXPRESS, STATUTORY OR IMPLIED, ORAL OR WRITTEN, WITH RESPECT TO THE SERVICES, INCLUDING WITHOUT LIMITATION ALL IMPLIED WARRANTIES OF MERCHANTABILITY OR FITNESS FOR A PARTICULAR PURPOSE, ACCURACY, RELIABILITY, COMPLETENESS, OR TIMELINESS OF THE MATERIAL, SERVICE, SOFTWARE, TEXT, GRAPHICS OR LINKS, AND ALL WARRANTIES IMPLIED FROM ANY COURSE OF DEALING, COURSE OF PERFORMANCE OR USAGE OF TRADE. FIRETEXT SHALL NOT BE LIABLE TO YOU OR TO ANY THIRD PARTY FOR ANY INDIRECT, INCIDENTAL, SPECIAL OR CONSEQUENTIAL DAMAGES (INCLUDING, WITHOUT LIMITATION, ANY DAMAGES ARISING FROM LOSS OF USE OR LOST BUSINESS, LOSS OF OPPORTUNITY, LOSS OF REVENUE, LOSS OF ACTUAL OR ANTICIPATED PROFITS, LOSS OF DAMAGE TO OR CORRUPTION OF DATA OR LOSS OF GOODWILL), OR FOR ANY COST OF PROCUREMENT OF SUBSTITUTE SERVICES ARISING IN CONNECTION WITH THESE TERMS, WHETHER IN AN ACTION IN CONTRACT, TORT, STRICT LIABILITY OR NEGLIGENCE, OR OTHER ACTIONS, EVEN IF ADVISED OF THE POSSIBILITY OF SUCH DAMAGES. IF YOUR USE OF THE FIRETEXT SITES OR SERVICES RESULTS IN THE NEED FOR SERVICING OR REPLACING EQUIPMENT, SOFTWARE, OR DATA, FIRETEXT IS NOT RESPONSIBLE FOR THOSE COSTS. FIRETEXT'S TOTAL LIABILITY ARISING OUT OF YOUR USE OF THE FIRETEXT SITES OR SERVICES FOR DIRECT DAMAGES SHALL NOT, IN THE AGGREGATE, EXCEED AN AMOUNT EQUAL TO THE MONTHLY TRANSACTION FEE PAID BY YOU TO FIRETEXT HEREUNDER. You warrant and represent to FireText that you have all necessary rights, power, and authority to agree to these Terms and perform your obligations hereunder, and nothing contained in these Terms or in the performance of such obligations will place you in breach of any other contract or obligation. You further warrant and represent that you are and shall at all times remain in full compliance with all applicable laws, rules and regulations with regard to your use of the FireText Sites and Services, including without limitation the Privacy and Electronic Communications Regulations, and all other laws and regulations concerning privacy, telemarketing, and Internet marketing. You agree to indemnify and hold harmless FireText and its affiliates and each of their respective officers, directors, shareholders, employees, agents, contractors, representatives, content providers and service providers, from and against any and all losses, claims, obligations, liabilities, damages, settlements, costs and expenses (including, but not limited to, consequential damages, incidental damages, special damages, disbursements and attorneys' fees, including attorneys' fees incurred from counsel selected by FireText in its sole discretion) arising from or relating to any actual or threatened claim, suit, action, proceeding, governmental investigation or enforcement action based upon or arising out of: (i) your breach of the above warranties; or (ii) any use by you, or an account or computer owned by you, of the FireText Sites or Services. You agree to cooperate as fully as reasonably required in the defence of any claim, suit, action, proceeding, governmental investigation or enforcement action, but we reserve the right, at your expense, to assume the exclusive defence and control of any matter in which you are a named party and that is otherwise subject to indemnification by you. You acknowledge and agree that you are liable for any and all damages caused to FireText by you as a direct result of a violation of local, national or international laws and regulations, including but are not limited to those damages that may arise from your fraudulent, intentional or unintentional harm, disability, unauthorised use of, or destruction to any and all equipment, licensing and/or services provided by FireText to you. If at any time you breach these Terms, we may elect to suspend, terminate, and/or cancel your use of the Services and/or recover any damages from you arising from the event(s) giving rise to the suspension, termination, or cancellation. We reserve the right to suspend the Services at any stage for any reason we may deem necessary to continue to provide our Services in a way that may be hindered by your status as being our client, your financial status or the content of the messages originating from you. Upon any such termination, cancellation, and/or suspension, you are still responsible for any obligations then accrued. Your obligation to pay all amounts accrued and owed by you shall continue even after any suspension or cancellation of your access to the Services (in whole or in part). Upon termination, for any reason, you agree to immediately cease using the Services and FireText shall have no obligation to you after any termination or cancellation of these Terms. Should such a termination take place when you still have credits in your account, you shall receive back, at our discretion, a fair monetary value of such credits, save any expenses that may be incurred by FireText, including, without limitation, for payment of transfer duties, legal costs, third-party costs, or penalties. The provisions regarding ownership, payments, warranties, and indemnifications will survive any suspension, termination, or cancellation of your use of the Services or FireText Sites. You are free to terminate or cancel your use of the Services at any time, and for any reason. If you are on a monthly plan or pay for monthly Keywords or optional reply numbers, login to your account, downgrade to Pay & Go and cancel any Keyword or optional reply numbers you may have. Notwithstanding the foregoing, unless due to a breach solely by FireText that it fails to cure within thirty (30) days of its receipt of your notice, in no event shall FireText be obligated to refund to you the reasonable value of any unused credits previously purchased by you. The FireText Sites may contain links to third party websites. These links are provided solely as a convenience to you and not as an endorsement by FireText of the contents on such third-party websites. FireText is not responsible for the content of linked third-party websites and does not make any representations regarding the content or accuracy of materials on such third-party websites. If you decide to access linked third-party websites, you do so at your own risk. FireText cannot ensure that you will be satisfied with any products or services that you purchase from a third party website that links to or from the FireText Sites, since these websites are owned and operated by independent third parties. FireText does not endorse any of the products/services, nor has FireText taken any steps to confirm the accuracy or reliability of any of the information contained in such third party websites. FireText does not make any representations or warranties as to the security of any information (including, without limitation, credit card and other personal information) you might be requested to give any third party, and you hereby irrevocably waive any claim against us with respect to such websites. FireText strongly encourages you to make whatever investigation you feel necessary or appropriate before proceeding with any online or off-line transaction with any of these third parties. FireText consents to links to the FireText Sites which conform to the following: the appearance, position, and other aspects of any link to the FireText Sites may neither create the false appearance that an entity or its activities or products are associated with or sponsored by FireText nor be such as to damage or dilute the goodwill associated with the name and trademarks of FireText or its affiliates. FireText reserves the right to revoke this consent to link at any time in its sole discretion, without notice. You are prohibited from violating or attempting to violate the security of the FireText Sites and Services and from using the FireText Sites and Services to violate the security of other websites by any method, including, without limitation: (a) accessing data not intended for you or logging into a server or account which you are not authorised to access; (b) attempting to probe, scan or test the vulnerability of a system or network or to breach security or authentication measurers without proper authorisation; (c) attempting to interfere with service to any user of the FireText Sites or Services, host or network, including, without limitation, via means of submitting a virus to the FireText Sites, overloading, "flooding," "spamming," "mailbombing," or "crashing"; (d) sending unsolicited e-mail, including promotions and/or advertising of products or services; or (e) forging any FireText packet header or any part of the header information in any e-mail, instant message, text message or newsgroup posting. Violations of system or network security may result in civil or criminal liability. FireText may investigate violations of these Terms, and may involve and cooperate with law enforcement authorities in prosecuting users of the FireText Sites who are involved in such violations. FireText shall not be liable for any failure or delay in performing its obligations hereunder, which such failure or delay is caused by fire, flood, earthquake, elements of nature or acts of God, acts of war, insurrection, terrorism, strike, failure or downtime of any telecommunications line and/or unavailability of any telecommunications or Internet facilities, power failure, governmental restrictions, any court order, compliance with any law, regulation, or order of any governmental authority, or any other cause beyond the reasonable control of FireText. In addition, FireText shall be so excused in the event it is unable to acquire from its usual sources, and on terms it deems to be reasonable, any material necessary for the performance of the Services. These Terms shall be governed by and construed in accordance with the laws of the England and Wales and the parties hereby submit to the exclusive jurisdiction of the English courts. These Terms are only those stated herein, which shall constitute the complete agreement between the parties. No terms and conditions stated in or attached to your communications to FireText are applicable to these Terms in any way and are not to be considered your exceptions to the provisions of these Terms. The failure of either party to exercise in any respect any right provided for herein will not be deemed a waiver of any further rights hereunder. If any provision of these Terms is found to be unenforceable or invalid, that provision will be limited or eliminated to the minimum extent necessary so that these Terms will otherwise remain in full force and effect and enforceable. No agency, partnership, joint venture, or employment is created as a result of these Terms and you do not have any authority of any kind to bind FireText in any respect whatsoever. In any action or proceeding to enforce rights under these Terms, FireText will be entitled to recover costs and attorneys' fees if it substantially prevails. All notices required hereunder shall be in writing and will be deemed to have been duly given when received, if personally delivered; when receipt is electronically confirmed, if transmitted by facsimile or e-mail; the day after it is sent, if sent for next day delivery by recognised overnight delivery service; and upon receipt, if sent by certified or registered mail, return receipt requested. FireText may give notice to you by means of a general notice on the FireText Sites or Services, electronic mail to your e-mail address on record in FireText's account information, or by written communication sent by personal delivery, fax, overnight courier, or certified or registered mail to your address on record in FireText's account information.